Phoenix– The Dodgers are officially back from Camelback Ranch and set to take on the San Diego Padres in their home opener. With the conclusion of spring training and first pitch looming here is a round-up of the Dodgers Spring. They had a team batting average of .270, slugging .440 and and .792 OPS. The Dodgers hit 44 home runs, 74 XBH’s and drove in 182 RBI’s. They also stole 20 bases. Dodgers pitchers went 18-17 with a team ERA of 4.80 with nine saves. ARLINGTON, Texas- Today the Rangers face the Cleveland Indians for their 2017 home opener at Globe Life Park. The first pitch will be at 6:05 pm. These two teams have shared quite a few interests over the past several months. The Indians did not get to sign Jonathan Lucroy who is with the Rangers now, and then traded Mike Napoli to the Rangers. Corey Kuluber will be pitching for the Indians tonight as he defends his American League champion title. Yu Darvish will be pitching for the Rangers. The promotion tonight will include Papa John’s reward points, and a Budweisers Opening Night Magenetic Schedule. Phoenix– The 2017 Dodgers start their campaign this afternoon, with an opening day roster payroll over $227 million. Obviously you cannot buy wins, but the team is the reigning NL West champions with a chip on their shoulder after being eliminated in the NLCS by the Chicago Cubs. 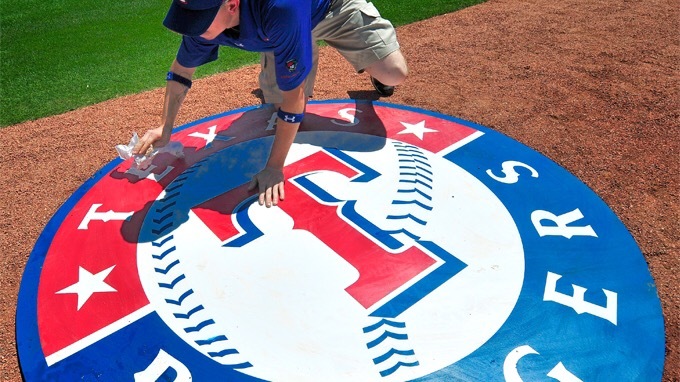 ARLINGTON, Texas– City Mayor Jeff Williams will be throwing out the first pitch at Globe Life Park on April 3 to celebrate the Texas Rangers home opener. Known in the community for his public service, he was elected in May 2015, and is the 29th mayor of Arlington. Williams is the president of an engineering firm Graham Associates, Inc., which is located in Arlington. 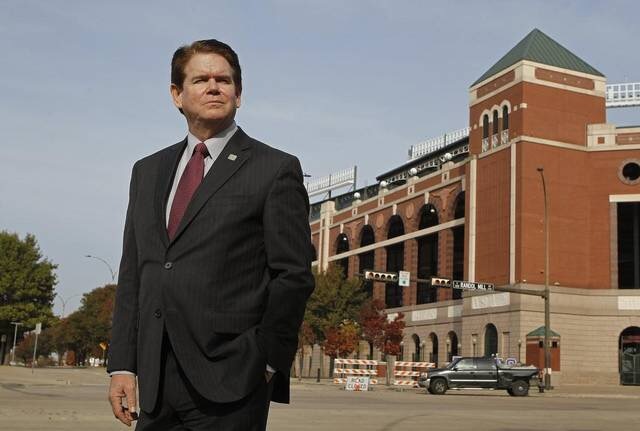 Through his company he has worked on Globe Life Park along with many other projects in the Arlington area. Williams throwing the first pitch for the 2017 season seems to be appropriate considering his term as Mayor expires this May. The pitch will be caught by National Baseball Hall Of Fame electe Ivan Rodriguez. Phoenix– The Dodgers faced their cross-town rivals on Saturday in the final game of spring training before the 2017 season is underway. Last night was actually the first time the Dodgers had their planned starting eight all batting in the same lineup. The teams shortstop sensation, Corey Seager made his first appearance since March 3rd due to a sore oblique. Seager was able to muscle off a hit in his first plate appearance against former Dodger Jesse Chavez. He was later hit in on a Justin Turner home run. Carlos Feliciano, a blogger for “Halos Heaven,” says he has been faithful to the Angels ever since he’s been able to walk and talk. This past week I had been scrolling through the online community of Angels fans, comments and blog posts, and I came across many talented writers — Feliciano being one of them. I noticed that he had been writing for this community for over a decade, so I knew he must be extremely knowledgeable on baseball. I decided to look through his past work on the website.